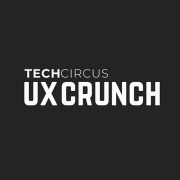 The UX Crunch is London’s largest user experience networking events company. User experience is one of the hottest debatable subjects within the digital world at the moment, with networking and learning key for UX professionals who are keen to develop their careers. In a contract-heavy market, it’s always great to network with hiring managers and meet potential connections that could help you secure your next contract. We approach our networking events in a unique way by hosting our events at various venues around London, showcasing the workplaces of some of the top user experience companies. By always including a stellar line up of industry experts with new and exciting topics of discussion, we aim to create a new phenomenon within digital networking; making cutting edge events and opening up possibilities of collaboration within the UX community. Our Junior UX Crunch events offer the same top-notch industry insight but with a lower price point to encourage younger UX designers to get involved and see what the UX Crunch has to offer. 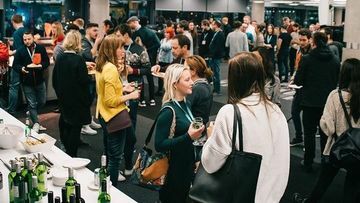 Our events often offer free drinks and food as well as some of the most inspirational user experience guest speakers in the industry. We welcome people who are looking to get in UX and find out more about the area. Recruiters and hiring managers are also welcome and we encourage jobs and opportunity networking in an ever-changing and evolving industry. We are always looking for major companies to host events. Hosting is free, however you will be expected to provide food and drink for the attendees as well as a space large enough to hold more than 60 people. UX Crunch is Europe’s largest monthly UX meet-up with hundreds of user experience professionals attending each month, Why not become a partner and be seen by over 3000 UX attendees across networking events throughout the year. We are looking for three sponsors for 2016 to partner us in our events.  Overall sponsorship of the event, with a particular focus on keynote sessions.  Branding throughout pre-publicity across all communications channels (website and email communications), plus high visibility during the event in networking areas, event screens, agenda, attendee packs.  Recognition at opening and closing of each event by presenter.